Happy Sunday you lovely bunch! 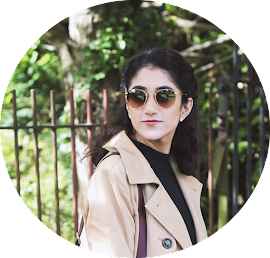 So, I thought I'd try out a new series on my blog called 'spotlight on...' and surprise surprise, it means I put the spotlight on one particular brand and talk you through my favourites. And today's choice of brand is NYX! I like reading these types of posts because if I'm stuck on what to buy from a specific brand, I can just see what other people love. I find that some brands have products that become 'cult' products and therefore all of the other things get blocked out and don't get enough love. I thought I'd give a shoutout to some of my favourite NYX Cosmetics products, cult and non-cult included. So without further ado... here are my NYX favourites! The NYX Soft Matte Lip Creams are definitely a cult beauty favourite. Everyone loves the Soft Matte Lip Creams and honestly, I do too! First of all, they smell SO good. I'm not sure why a product is instantly better when it smells nice, but it is! Secondly, it is the most comfortable liquid lipstick product. As the name suggests, it is quite soft and creamy. It's also pigmented enough and last a decent amount of time, as long as your not eating and drinking. I have the shades Cannes (the perfect nudey pink) and Dubai (a lovely cool toned brown). I definitely recommend these if you are after a comfortable and easy liquid lipstick that you can just throw on in a hurry! The next lip product I recommend is the NYX Liquid Suedes. These, again, are liquid lipsticks. The brand just seem to nail the whole liquid lip formula! I particularly like this formula because like the Soft Matte Lip Creams, it isn't drying and is super comfortable on the lips. I do find that these are a bit more heavy duty and long lasting. As you can tell I really like deep brown and pinky shades in lip colours. These ones are Soft Spoken (pink) and Downtown Beauty (brown). I particularly like wearing these if I want them to last a long time, such as for work or special occasions. Okay... now for the foundation that has taken the beauty world by storm recently. The NYX Total Control Drop Foundation is a-ma-zing! I have the shade Beige and it is honestly the most perfect colour for my skin tone. If you have darker skin tones, I feel like this range caters towards your complexion and perhaps if you are on the paler side too! I recommend checking it out as there are over twenty shades available. Anyways, the foundation is very adaptable to whatever you are seeking in terms of coverage. One or two drops provides a light coverage, three-ish is medium and four plus gives you a fuller coverage. I apply this with a brush rather than a sponge because I prefer a lighter coverage and I feel like the sponge will just eat all of the foundation up. Also, just a note to say that the foundation doesn't contain any SPF either. So if you are on the market for a foundation that covers all bases, I think this may be your go-to! The NYX Micro Brow Pencil is probably one of my all-time favourite beauty discoveries. It has really made a difference in my brow game! First of all, the shade is perfect for my eyebrows and it helps me achieve a very natural look. FYI - I use taupe. Another point is that the pencil is so thin and it makes it very easy to mimic actual brow hairs. Plus, it has a spoolie at the end - I mean what else could make it any better?! I know a lot of people love this product and I can definitely see why. It is just so inexpensive and made so perfectly, it really works for me too! Okay... now for some face powder products. For face powder I really enjoy using the NYX HD Finishing Powder in the shade Translucent. I particularly enjoy using this under my eyes, to set my concealer, and on darker areas of my face to brighten them. It it pretty much translucent but I do feel like it gives a bit of a white cast, particularly in flash photography, hence why I only focus it in some areas of my face. For contour and bronzing, I love the NYX HD Blush in Taupe. This shade was recommended as a great cool-toned shade for darker skin tones. I love using this everyday as well as for occasions as it is so easy to build up. Plus, it is only £6! The NYX Illuminator is a great powder highlight, especially for daily wear. The shade I use is Ritualistic and it is a lovely soft white toned highlight that isn't super chunky or glittery. It is very natural, hence why I prefer it for everyday wear. It's very subtle but I'm sure you can build it up for something more intense, if you are after that look. What are your NYX Cosmetics favourites? I've never used Nyx products but their products sound really good, and I love the colors of everything.